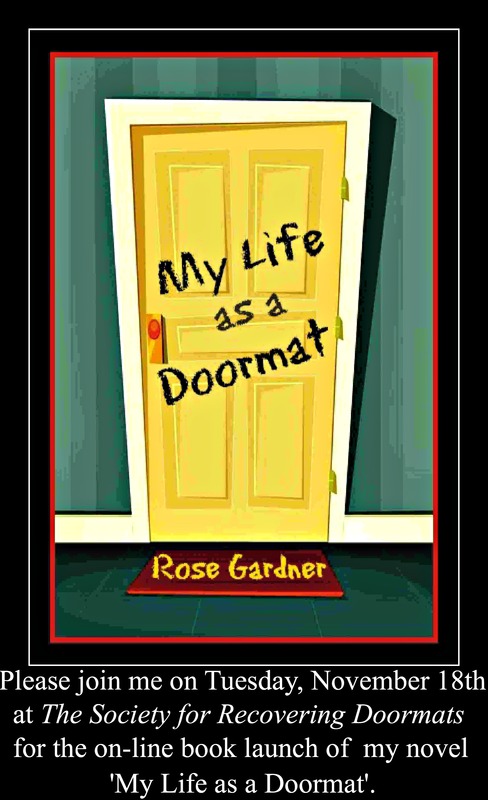 “My Life as a Doormat” Book located on my home page. Hi Jeff. It is an ON LINE launch. Join me on my Facebook page The Society for Recovering Doormats. If you’re not on FB, then look for a link right here on THIS BLOG to purchase the book. Thanks for your interest. Hi Jeff, the on-line Book Launch is ON LINE. Here, and on my Facebook page The Society For Recovering Doormats. There are links up on this blog site to purchase the book. If you live in the USA, use the PayPal function and avoid shipping charges and receive a personalized, signed copy. Thanks for your interest.